Investment in modern wastewater treatment (WWT) infrastructure for a rural community. Outcomes help to provide the community with equal access to rural development opportunities available in other Romanian and EU areas which have modern WWT services. Around 90% of rural Romania’s population do not have access to public sewerage systems and some 70% are not served by running water supplies. The situation is even worse regarding hot water systems. Rural water supply systems are therefore noted by the national RDP as representing a major development constraint for rural areas. 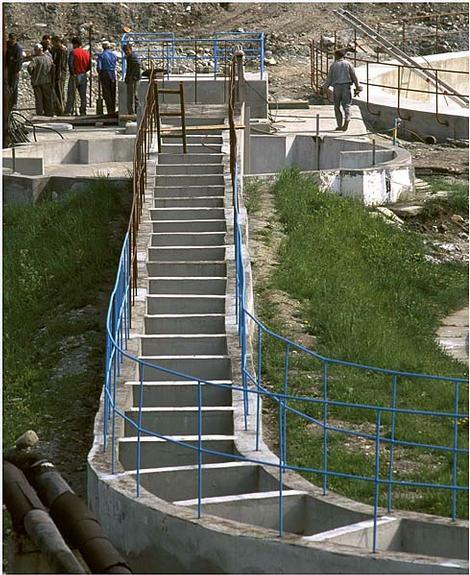 Călăraşi County in southern Romania is one of the areas receiving EAFRD support to help modernise its water infrastructure. This project aims to improve long-term environmental conditions for the Unirea commune in Călăraşi County by introducing for the first time modern infrastructure for treating wastewater and sewerage. This will help to remove rural development obstacles for local businesses, as well as improve quality of life for rural residents, plus protect the natural environment from pollution threats. The main activities involve constructing and connecting a fully operational integrated scheme of infrastructure for collecting and treating wastewater and sewerage. Due to be completed in February 2012, the RDP project will minimise environmental risks related to pollution from untreated sewerage or wastewater. The project will also greatly improve both quality of life and development opportunities for residents in Unirea’s two main farming villages. The project forms part of a regional Master Plan for modernising water infrastructure and these Master Plans help to coordinate the use of EU funds in rural areas. Such strategic planning is useful for targeting funds towards priority projects and also provides advance knowledge of the works needed to prepare the way for infrastructure investments. Furthermore the Master Plans help to improve the stability of budget forecasting for public bodies. Daniel Stefan: European Integration & Regional Development Office, Călăraşi County Council.